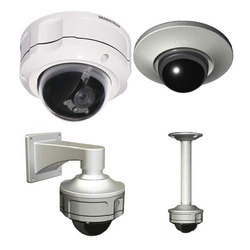 IP cameras offer substantial benefits over analog/CCTV cameras. Support for high-definition video, hemispheric lenses and multiple video streams are only a few of the reasons why IP security cameras are outstripping their analog counterparts. 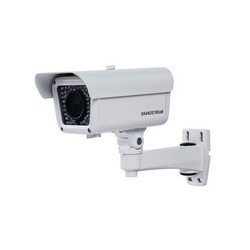 IP technology also enables these cameras to be accessed and controlled from a remote location. Video analytics and intelligent event detection lend IP cameras the ability to trigger alerts and alarms. When motion, audio or temperature changes are detected, for example, the camera can issue a notification to administrators via text, email or another supported platform. We have marked a distinct position in the market by providing Secureye CCTV Convertorthat is sourced from reliable sources of the industry. The offered converter is available in various specifications and is quality tested by our quality controllers to ensure quality flawlessness. We thoroughly check this converter on various pre defined parameters before supplying to our clients. Further, our offered products can avail at most competitive price by our esteemed clients. IR 24 IR LED, Ø5 mm, 850nm, IR distance- :10-20 Mtr. 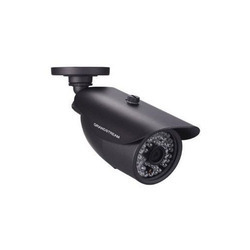 We have emerged as a leading organization, engaged in offering superior quality Grandstream IR Bullet Outdoor Weatherproof IP Camera Full HD. 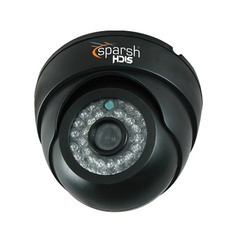 This product is powerful weatherproof Infrared (IR) IP cameras offering an adjustable vari-focal High-Definition lens – making them ideal for any outdoor/indoor setting where weather and light conditions constantly change. It allows the user to adjust the lens to best fit their monitoring needs, which allows the GXV3674 v2 to monitor nearby areas, such as a building entrance, and distant focuses, such as a parking lot – and anything in between. Our offered product is manufactured by our skilled professionals using high grade components and latest technology in compliance with the industry quality standards at vendors' end. In addition to this, our provided product undergoes various tests under the supervision of quality controllers to ensure its flawlessness. 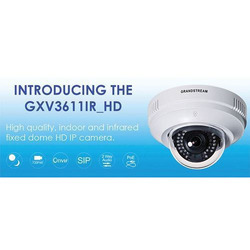 With the extensive knowledge and experience in this respective domain we are engaged in offering high quality Grandstream GXV3662_HD Outdoor IP Camera that is used for security purpose. Our vendors' only use high grade components and the latest technology while manufacturing this camera. The offered range is widely appreciated all over the nation for its salient attributes. With our quality range, we are able to maintain a strong foothold in this industry. We have gained recognition as an eminent enterprise, devotedly engaged in offering a broad range of Grandstream Weather-Proof Infrared IR Outdoor IP Camera. It is ideal for wide-angle monitoring of nearby subjects, and an 8mm lens for monitoring subjects in the distance. Backed by a team of experts, this camera is manufactured using high grade components and advance technology at vendors' end. Our offered camera is precision-designed, in order to meet the international standards. Furthermore, this camera is availed in various technical specifications, as per the varied needs of our valuable clients. Our range is stringently tested on various parameters to assure it on counts of quality. The GXV3610 v2 series are weather-proof Infrared (IR) fixed dome IP cameras with a high-definition 3.6mm lens - making them ideal for wide-angle monitoring of nearby subjects in environments such as banks, hotels, retail, offices, warehouses, and building entrances. The camera’s advanced Image Sensor Processor (ISP) is powered by a state of the art auto-exposure/auto-white balance algorithm which allows for exceptional performance in all lighting conditions. 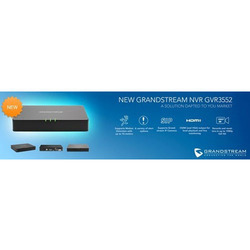 Pair the GXV3610 v2 series with Grandstream’s GVR3550 Network Video Recorder (NVR), which supports plug-and-play with all Grandstream IP cameras, to create a powerful recording and monitoring solution. 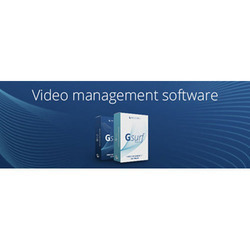 The GXV3610 v2 series can also be managed with GSURF Pro (Grandstream’s FREE video Management Software that allows simultaneous control of up to 72 cameras) along with other ONVIF-complaint video management systems. This indoor/outdoor HD IP Camera features industry-leading SIP/VoIP for 2-way audio and video streaming to both video and mobile phones. It contains integrated PoE, IR-CUT for day and night mode, and a flexible HTTP API for easy integration with other surveillance systems. It provides video recording, indexing, searching and video storage management for up to 24 IP video cameras to allow users to record and monitor their IP video surveillance network using one device. The GVR3550 can be viewed and managed by connecting the GVR3550 directly to a TV or computer monitor or through the web user interface. 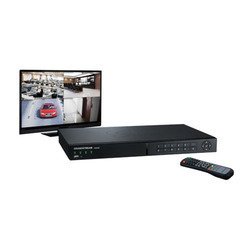 The GVR3550 supports all Grandstream IP Video surveillance cameras and IP Video Encoders/Decoders and can automatically detect these devices. Users can view the live feed of up to 16 cameras simultaneously and can save up to 16TB of video files on the device by connecting up to 4 hard drives (hard drives not included). The GVR3552 Network Video Recorder (NVR) offers small to medium businesses and residential users a dedicated and reliable solution for centralized IP video surveillance recording and monitoring. It provides video recording, indexing, searching and video storage management for up to 16 IP video cameras to allow users to record and monitor their IP video surveillance network using one device. The GVR3552 can be viewed and managed by connecting it directly to a TV or computer monitor or through the web user interface. 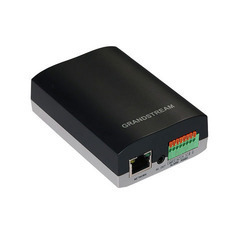 The GVR3552 supports all Grandstream IP Video surveillance cameras and IP Video Encoders/Decoders and can automatically detect these devices.